8. Naruko Gorge (鳴子峡 – naruko-gyou) – A gorge with a depth of a hundred meters running for 2.5 kilometers. 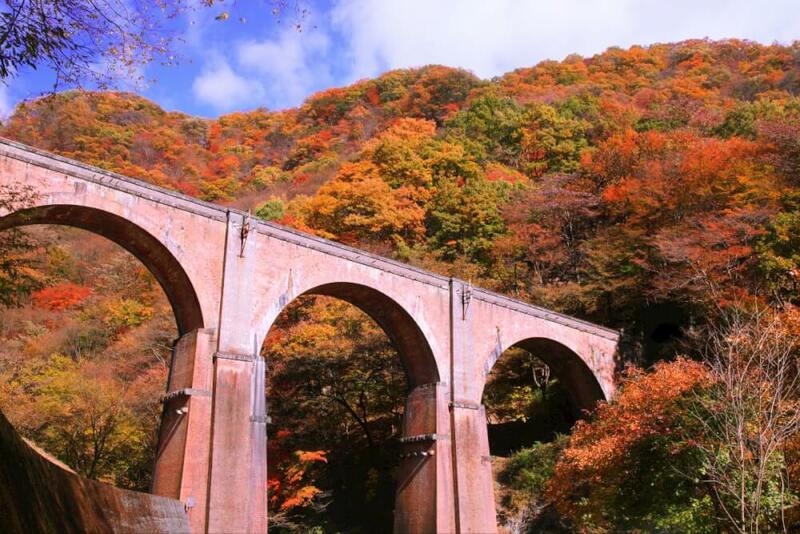 It is best known for its red, yellow and green foliage during autumn. 9. Mount Haguro Goju Pagoda (羽黒山五重塔 – hagurosan-gojuu-tou) – This pagoda, at 600 years old, is said to be the oldest in the Tohoku region. The trees around the pagoda known to be a thousand years old. 10. 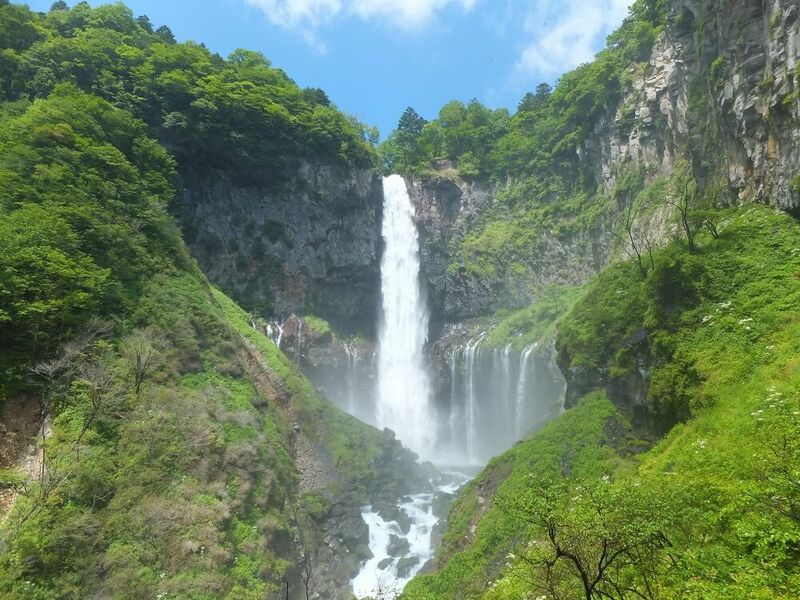 Kegon Falls (華厳の滝 – kegon-no-taki) – Kegon Falls is a 97 m drop and considered one of the 3 most famous waterfalls in Japan. 11. Edo Wonderland (江戸ワンダーランド) – An alternative theme park that recreates the unique lifestyle and culture during the Edo Period. Ninjas and courtesan processions are among the highlights. 12. Doai Station (土合駅) – This station is known as the Number 1 ‘Mole’ Station in Japan as you have to descend almost 500 steps for 10 minutes to get to the north-bound platform from the station gate. 13. Usui 3rd Bridge (碓氷第三橋梁 “めがね橋”）- This bridge is also known as the “Megane Bridge”. At 91 m in length and 31 m in height, this is the largest brick arch bridge in Japan. Once a railway bridge, it was abandoned in 1963 and now serves as a pedestrian bridge.